This paper focuses on the balance between functionalism and moralism in the pre-modern juristic discourses on the rules which apply to killing at war. In discussing the conduct of warfare, classical Muslim jurists negotiated between functional, and perhaps practical, rules, and absolute moral imperatives. One can clearly discern the existence of a tension between a functional methodology, which tended to look to ultimate benefits and interests, and a moralistic methodology which upheld the supremacy of certain principles regardless of the material benefits or harms that might accrue. In order to properly assess this juristic negotiative process, it is necessary to compare the juristic discourses on internal wars in which Muslims fought Muslims and external wars in which Muslims fought non-Muslims. By taking such a comparative approach one can better evaluate the extent to which the rules of killing at war were founded on notions of moral culpability and guilt, or on functionalist and practical considerations of interest. The advantage of such a comparative approach is that it looks to the total or general approach that Muslim jurists took in discoursing on killing at war rather than simply focusing on external wars against non-Muslims. Put differently, it is useful to examine whether certain rules are adopted because of the religious status of the combatants or whether these rules are seen as functional necessities quite apart from the issue of status. In this context, one can better understand the balance struck between functionalism and moralism by pre-modern Muslim jurists. For the most part, in dealing with the issue of fighting Muslims, the classical jurists do not focus on issues related to jus ad bellum. Rather, most of the discourses are focused on jus in bello or the treatment that should be afforded to the bugha. Muslim jurists do not discourse at length on when it is justifiable for a Muslim to fight another, or when a Muslim may properly rebel against a ruler. Of course, I am not arguing that Muslim jurists were uninterested in the justifiability of the use of force. Muslim jurists did, in fact, pronounce lengthy exhortations about the impermissibility of the use of force against fellow Muslims, and cautioned against the evils of rash and violent rebellions against unjust rulers. Furthermore, particularly in the context of rebellion or enjoining the good and forbidding the evil, Muslim jurists advocate a type of balancing test according to which the possible evils are weighed against the potential good. This is similar to the notion of proportionality in the Western jus ad bellum tradition, by which the act of resorting to force might be justified if the total good outweighs the total anticipated evil. Nevertheless, the main focus of Muslim jurists was on the practical rules of treatment, and not on the grounds of justifiability. There is a certain degree of functionalism in the approach taken by Muslim jurists. It is as if Muslim jurists presume the occurrence of fighting, and simply deal with the subsequent consequences. In other words, the main focus seems not to be so much on theories of justifiability, but on the technical rules of conduct that should apply once the fighting, regardless of its merits, takes place. Nonetheless, this functional approach is also moralistic because it tends to focus on issues related to moral culpability. The bugha are not morally culpable because they rely on a presumptively erroneous interpretation or cause. Because they are not morally culpable, they are entitled to be treated in a fashion that is not afforded to apostates or common criminals. Significantly, this moral consideration is not absolute. It is mixed with a limited degree of pragmatism. For instance, Muslim jurists argue that in order for the bugha to qualify for preferential treatment they must have a degree of strength or shawka. Strength, in this context, means that the bugha must be of a certain number so that they are not easily overcome or defeated. Muslim jurists do not specify how many individuals are needed for a shawka to exist, but simply state that one or two people are not sufficient. The jurists justify this numerical requirement by arguing that since the bugha are not held liable for life and property destroyed during the course of fighting, if the status of bugha is given to individuals, regardless of the degree of support that they might enjoy, suffering will increase. As the jurist put it, without the requirement of shawka, anarchy and lawlessness will spread (hatta la tafsad al-siyasat). They contend that without the requirement of shawka, every corrupt person will invent or fabricate a ta’wil, and claim to be a baghi (singular of bugha). Hence, if a person resorts to force while relying on a plausible ta’wil, but does not have a shawka, he or she will be treated as a common criminal, and will be held liable for any life or property destroyed. Importantly, however, this pragmatic consideration is not without constraints. Even if individuals lack a shawka, they are to be held liable for their specific acts, but they may not be summarily executed and their property may not be confiscated without just cause. Therefore, neither moral culpability nor pragmatic considerations seem to be absolute. Rather, both moral and pragmatic considerations seem to constrain each other through what can be described as a process of functional balancing. At the same time, however, this balancing act is placed within a context of certain moral absolutes so that, for example, under no circumstances may an individual, even if he or she lacks a ta’wil or shawka, be enslaved, tortured, mutilated or denied a proper burial. I will elaborate upon this point later. The strength of doctrinal sources, or what might be called the weight of sources, does not necessarily resolve which rule would be compromised in the interests of siyasa, and which rule would stand as a foundational and absolute principle. In other words, the sources from which the rules of conduct were derived do not, by themselves, determine the weight that is given to a particular rule. For example, it is argued that the laws applicable to the bugha (ahkam al-bugha) are derived from the precedent of Ali's conduct in fighting his opponents in the Battle of the Camel and Siffin. Purportedly, Ali refused to pursue the fugitive, dispatch the wounded or execute the prisoner. Yet, as we saw, many jurists were not willing to assert this rule in an absolute or unequivocal fashion. At the same time, Muslim jurists insist that the rule against the mutilation or torture of the bugha is absolute, and unequivocal. As authority, they often assert that when Ibn Muljim assassinated 'Ali, Ali's dying wish was that Ibn Muljim not be mistreated or mutilated, and that ‘Ali’s commands were duly adhered to by the members of the Prophet’s family. Interestingly, however, there are various historical reports which claim that 'Ali did not make such a testament, and that Ibn Muljim was tortured or mutilated after 'Ali’s death. Muslim jurists rarely cite or acknowledge the existence of these reports. This points to a selective and creative process by which the jurists construct and negotiate certain values. In all probability, what emerges as a moral absolute in Muslim juridical culture is the product of an incremental and cumulative sociological and theological interactive and dialectical process. One suspects that if specific doctrines are examined in a progressive historical and sociological context, one would be able to better explain the process by which Muslim jurists negotiated religious and political imperatives. For the purposes of this essay, however, it is important to emphasize that Muslim jurists hinged the treatment of Muslim combatants on a perceived moral culpability, but most of their efforts focused on the morality of conduct and not the morality of purpose. This is consistent with the emphasis in Islamic theology on orthoproxy and not necessarily on orthodoxy. It would be inaccurate, however, to claim that Muslim jurists passively accepted the inevitability of violence, and then proceeded to regulate its effects according to purely functional considerations. Rather, Muslim jurists seemed to approach the issue of violence against Muslims pursuant to gradation of rules; if the basic rule prohibiting violence against Muslims is not honored then a set of primary and secondary rules come into effect to regulate the conflict. Muslim jurists negotiated through a complex dynamic between primary, or near absolute rules, that do not seem to yield to the demands of siyasa, and secondary, or relative rules, that are balanced against the demands and interests of siyasa. Muslim jurists approach the issue of fighting non-Muslims within the same basic paradigm and framework of inquiry. For the most part, Muslim jurists do not focus on considerations related to jus ad bellum or the justness of waging war against non-Muslims. Rather, the overwhelming majority of their attention is focused on jus in bello or rules related to the conduct of war. There is no doubt that Muslim jurists do equate between just war and jihad or a religious war. However, their discussions on the appropriateness or lawfulness of fighting non-Muslims are remarkably short, and formalistic. For instance, Ibn Rushd (d. 595/ 1198) asserts that all polytheists could be fought, but he excepts the Turks and Ethiopians. It is not permissible to attack either the Turks or Ethiopians. Other than citing a hadith attributed to the Prophet in support of his assertion, he does not elaborate on the logic behind this exception. In essence, Ibn Rushd, like other Muslim jurists, assumes that the material interests of Islam should be served, and that Muslims should not be placed into a subservient or compromising position. But Muslim jurists concede a considerable amount of discretion to the ruler over issues involving dealing with foreign powers. Therefore, their discourses evidence a great amount of deference to the ruler as to when a ruler may or may not enter into a peace treaty or wage war against non-Muslims. This could be a result of a tacit recognition of the political realities of the age – ultimately a ruler will do what a ruler deems fit. More importantly, however, Muslim jurists seem to purposely and methodically grant those in power substantial leeway in protecting Muslim territory and promoting Islam. Similar to the approach taken over the issue of fighting Muslims, classical Muslim jurists do not concede to rulers the same type of unfettered discretion when it comes to articulating the proper limits for conducting war against non-Muslims. Despite the fact that Muslim jurists focused on the conduct of war rather than the legality of war, they imputed a degree of moral culpability to non-Muslims being fought. Muslim jurists insisted that unbelievers must be offered a chance to adopt Islam before they were fought. If the unbelievers refused to adopt Islam, they were to be offered an opportunity to recognize Islamic sovereignty and supremacy by paying a tribute (jizya) to Muslims. It is not clear whether the payment of a tribute protects unbelievers from molestation because of a functional necessity or because, by recognizing Muslim supremacy, they have somehow mitigated their moral culpability. Nonetheless, it is rather clear that if the unbelievers refuse to adopt Islam or pay the tribute, they are considered to have committed a kind of moral infraction that compromises their entitlement to be free from harm. If the unbelievers are offered a fair opportunity to adopt Islam, and they refuse to do so, they have not committed an error in judgment similar to an erroneous ijtihad, rather they have wrongfully and unexcusably rejected the truth, and waived away some of their rights. Certain categories of thought such as tribalism, apostasy and disbelief are not excused, and the culpability of those who adopt these categories of thought compromises their right to safety. But, as we have seen, disagreements which are considered similar to ijtihad, or honest and excusable disagreements, are a privilege granted to Muslims, and perhaps ahl al-dhimma, but not the unbelievers. Importantly, however, the moral infraction committed by the rejection of Islam does not, in itself, justify the killing of all unbelievers. Put differently, the rejection of Islam does not deprive unbelievers of all rights. "Since the basis for permissible fighting is jihad which strives to uphold religion, and make the word of God supreme, whoever obstructs [these purposes] must be fought. Those who normally do not fight or obstruct such as women, children, the hermit, the elderly, the blind, the cripple and anyone of a similar status, according to the majority of jurists, they may not be killed unless they fight [Muslims] by word or act. Nonetheless, some have argued that the status of unbelief, in itself, merits execution, but they exempted women and children because they may be useful for Muslims. The first opinion, however, is more correct because we fight those who fight us when we seek to spread the word of God." As is clear from these passages, there were competing trends within Islam which battled for acceptance. The first trend believed that the failure to adopt Islam is a sufficient cause for execution. Women, children and others are not killed only because they are of potential use for Muslims. The second trend considered unbelief to be a grave crime, but it is not sufficient cause for execution. After the 4th/10th century, it is clear that the second trend becomes the prevailing and predominant view. Among the important competing trends, not represented in the quotes above, was a school of thought which argued that under no circumstances could a prisoner be executed. In fact, the proponents of this view argued that there is a consensus among the companions of the Prophet on this point, and that the only options open to the ruler is either a pardon or ransom. This rule applied whether the prisoners were men, women or any other category. One can only speculate as to why this particular trend did not become predominant in Islam. In all likelihood, however, this view from a functional perspective was problematic because it was largely inconsistent with the war practices of the age. As noted earlier, the majority of Muslim jurists tended to gravitate towards a functional approach when it came to issues relating to the conduct of state. The majority of Muslim jurists emphasize that the ruler may pardon, enslave, ransom or execute male prisoners of war in accord with the interests of Muslims. Therefore, the ruler must choose the option which best serves the welfare of Islam and Muslims. The majority of the jurists also emphasize that even with regards to property, there must be a defensible reason or cause for any destruction which takes place. Hence, if one destroys even a bird without cause such a person is liable before God. The ruler is granted discretion over the execution of male prisoners of a fighting age because of the risk that such males pose to Muslims. Arguably, people who are capable of fighting pose a continuing threat to Muslims, and the ruler is entrusted to evaluate that risk and act on it. Importantly, this largely functional logic is somewhat mitigated by certain priorities. Therefore, for instance, if the execution of the able-bodied men will lead to the execution of Muslim prisoners held by the enemy, then execution is, at a minimum, reprehensible. If the enemy offers to exchange prisoners with Muslims, the ruler is duty-bound to accept the exchange, and not to do anything which would endanger the well-being of Muslims held by the enemy. In these circumstances, the discretion of the ruler is limited by the priority of liberating Muslim prisoners from captivity. However, if an unbelieving prisoner of war converts to Islam then under no circumstances may such a person be exchanged or returned to the enemy. The interests of one Muslim may not be sacrificed for the sake of another. Much of the classical discourses do not focus on abstract notions of fairness or justice in dealing with non-Muslims. The classical discourses do, however, balance the rights of Muslims against the discretionary leverage given to the ruler in promoting the interests of Muslims. Often the question is one of how much discretion the ruler should be given rather than what are the demands of justice and fairness in dealing with non-Muslims. Therefore, often the balance to be struck is between the rights of Muslims and the interests of Muslims; rather than the rights of non-Muslims and the interests of Muslims. The existence of this orientation or tendency in the classical discourses has prompted some contemporary commentators to conclude that the Muslim juristic discourses are overwhelmingly functional in nature. These commentators argue that the rules placing limits on the way non-Muslims may be treated are not induced by notions of justice, but by a desire to preserve the potential value that may accrue to Muslims. By not killing women, children or peasants or needlessly destroying crops and vegetation, Muslim jurists were protecting the rights of Muslims to profit from these resources. In the words of James Johnson, “The reason given in the text is not that these [people] have rights of their own to be spared harm, rights derived either from nature or from considerations of fairness or justice, but rather that they are potentially of value to the Muslims.” This, however, grossly overstates the case. It is true that classical juridical sources, particularly from the Hanafi school, emphasized the proprietary rights that Muslims have in the spoils of war, including woman and children. For instance, some Hanafi jurists have argued that once the ruler makes the decision to enslave war captives, the proprietary rights of Muslims become vested. Therefore, if a non-Muslim prisoner of war converts to Islam after the proprietary right has vested, he or she will still be enslaved despite his conversion to Islam. But this does not mean that the classical discourses are devoid of moral insights or even that the overwhelming attention of the jurists was focused on issues of value. Rather, as in the case of the bugha, Muslim jurists negotiated and balanced issues of value and interest within certain moral parameters. As Johnson, himself, recognizes, certain rules adopted by the classical jurists seem to be “pure” acts “of moderation outside considerations of benefit.” As noted above, Muslim jurists asserted that women, children, the elderly, the blind or crippled, the insane, hermits, and, according to some jurists, peasants and serfs may not be executed unless they take an active part in the fighting. Contrary to what John Kelsay and Johnson argue, this is not due to the fact that such categories of individuals are presumed to be of diminished capacity, and thus, less guilty in failing to adopt Islam. Rather, Muslim jurists argue that such individuals usually do not fight and, hence, there is no justification for killing them. The presumption seems to be in favor of the inviolability of such individuals unless there is an actual threat. Importantly, in terms of a value analysis, the insane, crippled or hermit are presumed to be of no value for the purposes of enslavement. Nevertheless, that does not affect their protected status. Furthermore, Muslim jurists often express wariness about the ideological risk posed by hermits and clergymen. Nevertheless, Muslim jurists argue that hermits may not be killed or enslaved, and, in the opinion of certain schools, enough property and money should be left for their sustenance. Muslim jurists frequently assert other broad moral injunctions in the context of conducting warfare against non-Muslims. Torture, mutilation and treachery are strictly prohibited. Pursuant to the prohibition against treachery, if male or female fighters are promised safety in return for a surrender, these terms must be complied with, and the prisoners may not be executed. This creates a moral obligation higher than the value inherent in the discretion granted to the ruler over the treatment of prisoners. This also implicitly recognizes the legality of negotiating a treaty guarantying the safety of prisoners of war. The prohibition against torture or mutilation is somewhat vague except that Muslim jurists argue that the beating or starving of prisoners in impermissible. It is not clear if the prohibition against torture or mutilation may be weighed against other interests. However, as we saw earlier, Muslim jurists prohibited the use of torture or mutilation against Muslims as well as non-Muslims. For reasons that are not yet clear, Muslim jurists seem to have developed an ideological and principled aversion to use of torture or mutilation. Furthermore, as noted above, there are certain values which seem to have competed for acceptance in the juridical culture of Islam. Often these values are articulated in the context of certain discourses, but it is not clear to what extent these moral ideas had gained acceptance in the juristic culture. For instance, some jurists argue that weapons of mass destruction such as fire, flooding or mangonels may not be used unless for dire necessity or in self-defense. Other jurists express a distinct distaste for the use of fire, in particular. According to this view, fire is particularly brutal, and therefore, unacceptable. Regardless of whether a particular point of view had gained wide acceptance or not, the textual evidence suggests that certain moralistic trends had emerged and struggled for acceptance in the Islamic context. There are remarkable similarities in the discoursive practice of the classical jurists on fighting Muslims and non-Muslims. This, in itself, indicates the emergence of certain moral absolutist trends in the juristic culture. Muslim jurists look to issues of moral culpability or guilt in articulating the appropriate rules of conduct that should be afforded to Muslim or non-Muslim combatants. But the assessment of guilt works in favor of Muslim combatants who rely on an interpretation or cause. Muslims who espouse unacceptable causes (such as tribalism), or non-Muslims who refuse to adopt Islam are considered morally culpable, and this, in turn, affects their treatment. Nevertheless, despite the consideration given to issues of guilt, Muslim jurists did not focus on a jus ad bellum style of inquiry. They seemed to adopt a functional approach, and attempted to influence the conduct of war rather than the commencement of war. In this context, Muslim jurists balanced practical interests against various imperatives. Importantly, however, one clearly discerns various trends and attempts to create moral absolutist parameters within which the balancing and negotiative process may take place. One suspects that the various moralistic trends correlated with specific socio-historical contexts as Muslim jurists continued to creatively negotiate their realities. Importantly, Muslim juristic discourses were neither purely functional nor moralistic. Even more, they were far from dogmatic or essentialist in nature. In order to better understand the processes and nature of the juristic discourses it is important to study the details of the juristic linguistic practice within various historical contexts. For instance, it is imperative to examine the rise or demise of absolutist moral tendencies within the context of the dynamics between the abode of Islam and abode of disbelief. With the disintegration of the ‘Abbasid Caliphate in the 4th/10th century, and the Crusades and Mongol invasions after the 6th/12th century, the clarity and neatness of the dichotomy between the abode of Islam and the abode of disbelief came under a serious challenge. It would be of great significance to examine whether the deconstruction of the conceptual unity of the abode of Islam aided or hampered the rise of moralistic tendencies in the juristic discourses. Perhaps such inquiries would contribute to the debunking of essentialist positions on the nature of Islamic international law. Abu al-Hasan al-Mawardi, al-Ahkam al-Sultaniyya w’al al-Wilayat al-Diniyya (Beirut: Dar al-Kutub al-‘Ilmiyya, 1985), 75-7; Muhammad b. Husayn al-Farra Abu Ya’la, al-‘Ahkam al-Sultaniyya, (Beirut: Dar al-Kutub al-‘Ilmiyya, 1983), 55-6; Shihab al-Din b. Idris al-Qarafi, al-Dhakhira (Beirut: Dar al-Gharb al-Islami, 1994), vol. 12, 9. See Joel L. Kraemer, “Apostates, Rebels and Brigands,” Israel Oriental Studies 10 (1980), 34-73; Khaled Abou El Fadl, “Ahkam al-Bughat: Irregular Warfare and the Law of Rebellion in Islam,” in James Turner Johnson and John Kelsay (eds. ), Cross, Crescent and Sword (Westport, C.T. : Greenwood Press, 1990), 149-176. See Abou El Fadl, 157-160. Abu Yahya Zakariyya al-Ansari, Fath al-Wahab (Cairo: Mustafa al-Babi, 1948), 153; Sharaf al-Din Isma’il b. Abi Bakr Ibn al-Muqri, Kitab al-Tamshiyya bi Sharh Irshad al-Ghawi fi Masalik al-Hawi (Cairo: Dar al-Huda, n.d.), vol. 3, 371; idem, ‘Ikhlas al-Nawi, ed. ‘Abd al-‘Aziz ‘Atiya Zalat (Cairo: Lajnat ‘Ihya’ al-Turath al-‘Islami, 1989), vol. 4, 127; Sulayman al-Jamal, Hashiyat al-Jamal (Beirut: Dar ‘Ihya’ al-Turath al-‘Arabi, n.d.), vol. 5, 113, 116 adds that what the rebels destroy during the course of their rebellion cannot be described as allowed or not allowed. It is merely a mistake that should be forgiven. Kamal al-Din Muhammad Ibn al-Humam, Sharh Fath al-Qadir, ed. Abd al-Razaq Ghalib (Beirut: Dar al-Kutub al-‘Ilmiyya, 1995), vol. 6, 97; Muhammad b. ‘Umar al-Dimashqi Ibn ‘Abidin, Hashiyat Radd al-Muhtar, ed. ‘Adil Ahmad Mu’awad (Beirut: Dar al-Kutub al-‘Ilmiyya, 1994), vol. 6, 416; Shams al-Din Muhammad b. Ahmad al-Ansari al-Ramli, Fatawa al-Ramli, (printed in the margin of Ibn Hajar’s al-Fatawa al-Kubra al-Fiqhiyya), (Beirut: Dar al-Kutub al-‘Ilmiyya, 1983), vol. 4, 19; idem, Ghayat al-Bayan (Cairo: Mustafa al-Babi, n.d.), 405; idem, Nihayat al-Muhtaj illa Sharh al-Minhaj (Cairo: Mustafa al-Babi, 1968), vol. 7, 402, 403-4. Abu Muhammad b. Muhammad Ibn Qudama, al-Mughni, (Beirut: Dar al-Kutub al-‘Ilmiyya, n.d.), vol. 10, 67, 70; Abu Abd Allah Muhammad Ibn Qayyim al-Jawziyya, Ahkam Ahl al-Dhimma, ed. Subhi Salih (Beirut: Dar al-‘Ilm li’l Malayyin, 1983), vol. 2, 469-70. For instance, see al-Ramli, Nihayat, vol. 7, 402. For instance, see Taqi al-Din Ibn Taymiyya, Minhaj al-Sunna al-Nabawiyya, (Beirut: al-Maktaba al-‘Ilmiyya, n.d.), vol. 2, 243-6. Additionally, there is a vast literature which cautions against becoming involved in fitan. For instance see Abu Abd Allah Nu’aym b. Hammad, Kitab al-Fitan, ed. 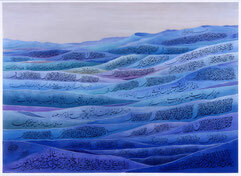 Suhayl Zakar (Beirut: Dar al-Fikr, 1993), 78-99. 103-109; Abu Abd Allah al-Bukhari, Sahih al-Bukhari (Cairo: Dar ‘Ihya’ al-Turath al-‘Arabi, n.d.), vol. 4, 221-233; Abd Allah Ibn Abi Shayba, al-Musannaf fi al-Ahadith wa al-‘Athar, ed. Sa’id Muhammad al-Lahham (Beirut: Dar al-Fikr, 1989), vol. 8, 590-649. Muhammad Ibn Ibrahim al-Wazir, al-‘Awasim wa al-Qawasim (Beirut: Mu’assassat al-Risala, 1992), vol. 8, 75, 165; Abu Abd Allah Muhammad Ibn Muflih, Kitab Kitab al-Furu’ (Beirut: ‘Alam al-Kutub, 1985), vol. 6, 160; al-Nawawi, Sharh Sahih Muslim, ed. Khalil al-Mis (Beirut: Dar al-Qalam, n.d.), vol. 12, 470-1; Shihab al-Din Ibn Hajar al-‘Asqallani, Fath al-Bari bi Sharh al-Bukhari (Beirut: Dar al-Fikr, 1993), vol. 14, 498; Muhammad Ibn Khalifa al-‘Abi, Sharh Sahih Muslim, (Beirut: Dar al-Kutub al-‘Ilmiyya, 1994), vol. 6, 529, 554, 563-5; Abu Abd Allah Fakhr al-Din al-Razi, al-Tafsir al-Kabir, (Beirut: Dar al-Kutub al-‘Ilmiyya, 1990), vol. 28, 109. See James Turner Johnson, Can Modern War be Just? (New Haven: Yale University Press, 1984), 20-1. Ibn Qudama, vol. 10, 67 & 70; Ibn Hajar al-Haytami, Tuhfat,, vol. 3, 70; al-Ramli, vol. 7, 405; al-Shirbini, Mughni, vol. 4, 126; Ibn Muqri, ‘Ikhlas, vol. 4, 126. See Ibid., and Abou El Fadl, 160. See al-Mawardi, Kitab Qital Ahl al-Baghy min al-Hawi al-Kabir, ed. Ibrahim b. Ali Sandaqji (Cairo: Matba’at al-Madani), 141, 166-7. Tahrir, 1966), vol. 1, 609; Abu Muhammad Ahmad Ibn ‘A’tham, al-Futuh, (Beirut: Dar al-Kutub al-Ilmiyya, 1986), vol. 2, 281, 284; Abu al-Faraj ‘Abd al-Rahman Ibn al-Jawzi, al-Muntazam fi Tarikh al-‘Umam, eds. Muhammad Abd al-Qadir ‘Ata’ and Mustafa Abd al-Qadir ‘Ata’ (Beirut: Dar al-Kutub al-‘Ilmiyya, 1992), vol. 5, 175, reports that it was ‘Ali who told his family to kill and burn Ibn Muljim For conflicting reports on ‘Ali’s conduct, particularly in the Battle of Siffin see Abu Bakr Ahmad b. Ali al-Bayhaqi, Ma’rifat al-Sunan wa al’Athar, ed. Sayyid Kasrawi Husayn (Beirut: Dar al-Kutub al-Ilmiyya, 1991), vol. 6, 283. See Fred Donner, "The Sources of Islamic Conceptions of War," in Just War and Jihad: Historical and Theoretical perspectives on War and Peace in Western and Islamic Traditions, eds. John Kelsay and James Turner Johnson (Wesport, CT: Greenwood Press, 1991). See John Kelsay, Islam and War (Louisville, Kentucky: John Knox Press, 1993), 36. See Taqi al-Din Ibn Taymiyya, al-Siyasa al-Shar'iyya fi Islah al-Ra'i wa al-Ra'iyya (Beirut: Dar al-'Afaq, 1983), 102-106. Also see Mohammad Talaat al-Ghunaimi, The Muslim Conception of International Law and the Western Approach (The Hague: Martinus Nijhoff, 1968), 165-180; Majid Khadduri, War and Peace in the Law of Islam (New York: AMS Press, 1979), 59-66, 75-76; Rudolph Peters, Jihad: In Classical and Modern Islam (Princeton: Markus Wiener, 1996), 43-4. Abu al-Walid Ibn Rushd, Bidayat al-Mujtahid wa Nihayat al-Muqtasid (Cairo: Dar al-Fikr, n.d.), vol. 1, 279. Abu al-Hasan al-Marghinani, al-Hidaya Sharh al-Bidaya (Cairo: Mustafa al-Babi, n.d.), vol. 2, 136; Abu Ishaq al-Shirazi, al-Muhadhdhab (Beirut: Dar al-Kutub al-'Ilmiyya, 1995), vol. 3, 273; Sahnun b. Sa'id, al-Mudawwana al-Kubra (Beirut: Dar al-Kutub al-'Ilmiyya, 1994), vol. 1, 496; Ibn Rushd, vol. 1, 282, 284. See Muhammad Hamidullah, Muslim Conduct of State (Lahore: Muhammad Ashraf, 7th ed., 1977), 186-7, on the treatment of ahl al-dhimma if they rebel against a Muslim ruler. Muhammad Ahmad al-Sarakhsi, Sharh Kitab al-Siyar al-Kabir (Beirut: Dar al-Kutub al-'Ilmiyya, 1997), vol. 4, 186. Ibn Rushd, vol. 1, 281. See Ibn Rushd, vol. 1, 279. See James Johnson, “Historical Roots and Sources of the Just War Tradition in Western Culture,” in Just War and Jihad, eds. John Kelsay and James Johnson, 3-30. See al-Shirazi, vol. 3, 281-2. See, for instance, al-Sarakhsi, vol. 3, 125, 128, 200, 205; Sahnun, vol. 1, 501. James Turner Johnson, The Holy War Idea in Western and Islamic Traditions (University Park, PA: The Pennsylvania State University Press, 1997), 122. Al-Sarakhsi, vol. 3, 126, vol. 5, 368. Also see the discussion in al-Shirazi, vol. 3, 282. Johnson, The Holy War Idea in Western and Islamic Traditions, 123. Johnson, The Holy War Idea in Western and Islamic Traditions, 119; Kelsay, 62-3. Al-Marghinani, vol. 2, 137; al-Sarakhsi, vol. 4, 186-8, 196; al-Shirazi, vol. 3, 277-8. See al-Sarakhsi, vol. 4, 196-7, who reports that some have argued that if hermits are socially active, and if they provide ideological support to the unbelievers they may be killed. Ibn Rushd, vol. 1, 279; Sahnun, vol. 1, 499. Al-Marghinani, vol. 2, 159. See also Ibn Rushd, vol. 1, 295; al-Shirazi, vol. 3, 310. See al-Marghinani, vol. 2, 160-1. See Ibn Rushd, vol. 279-80. Al-Sarakhsi, vol. 3, 127; al-Shirazi, vol. 3, 282; al-Marghinani, vol. 2, 137. Muslim jurists often quote a tradition attributed to the Prophet in which the Prophet prohibits mithla or the use of torture or mutilation. See Ibid. Ibn Rushd, vol. 1, 281-2. On the use of weapons of indiscriminate destruction see al-Marghinani, vol. 2, 136-7; Sahnun, vol. 1, 501; al-Shirazi, vol. 3, 278-9; Hamidullah, 205-208. See Khaled Abou El Fadl, “Islamic Law and Muslim Minorities: The Juristic Discourse on Muslim Minorities from the Second/Eighth to the Eleventh/Seventeenth Centuries,” Islamic Law and Society 1:2, 141-187 (1994), 161 n. 56 where the various definitions of the abode of Islam is addressed.